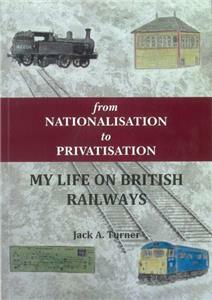 This publication is a railway biography and tells the story of the forty-six-year career of Jack Turner, who, in his spare time, formed the LCGB. Jack was born in Aylesbury in 1932, developed an interest in railways as a boy, and formed a desire to be a steam locomotive driver. He joined the London, Midland and Scottish Railway as a goods clerk in 1947, then becoming a cleaner at Bletchley, and subsequently a steam-locomotive fireman. Although he did not become a driver, Jack found an alternative career, working as a signalman, relief station master and eventually ending up as a Chief Operating Inspector, responsible for the well-being of large signal boxes on two major trunk routes north from London.